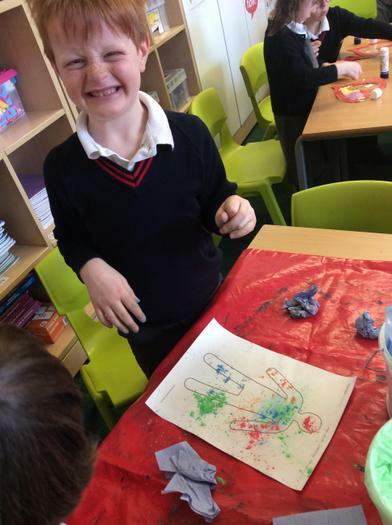 This week we have been celebrating Holi. 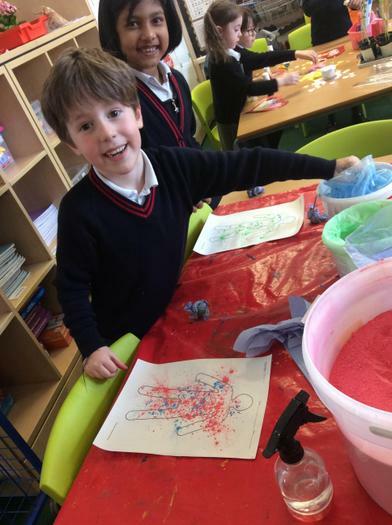 The vibrancy of colours is something that brings in a lot of positivity in our lives and Holi being the festival of colours is actually a day worth rejoicing. 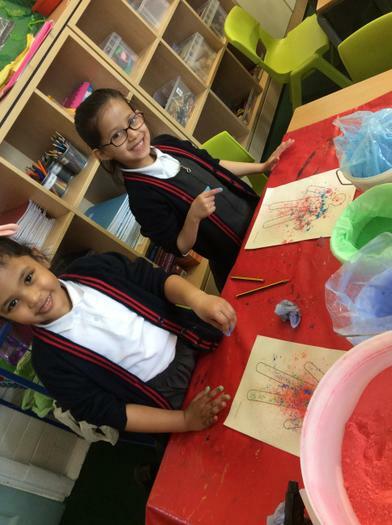 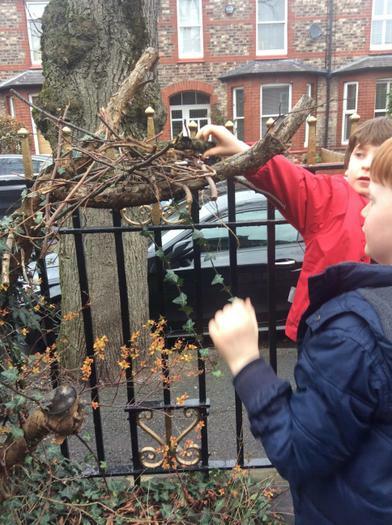 We imagined we were throwing and spraying coloured water and powders on friends and family. 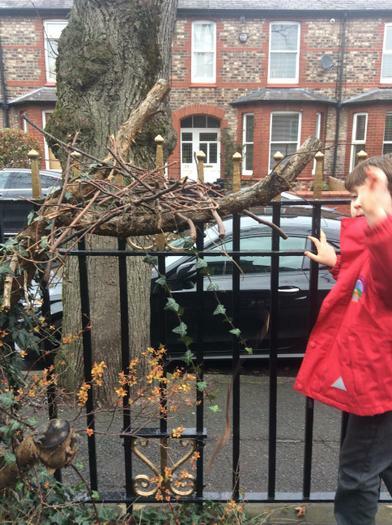 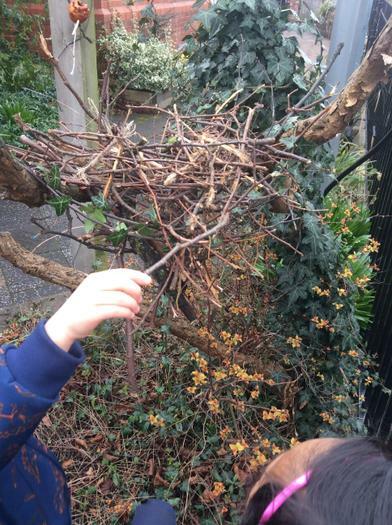 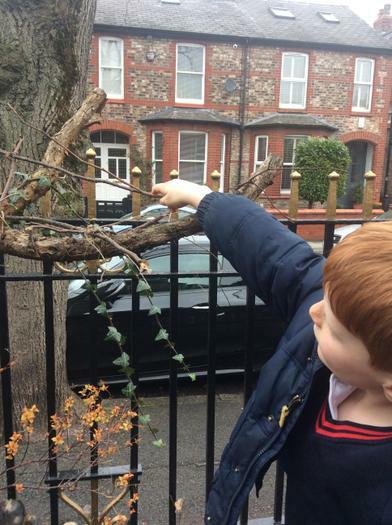 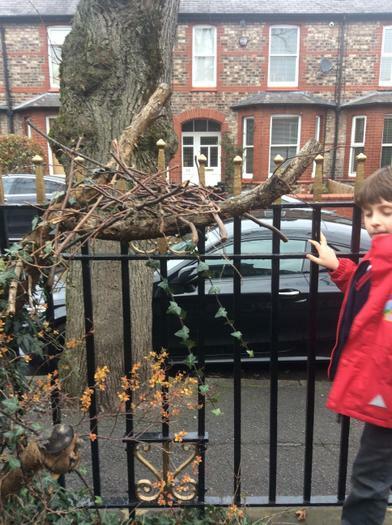 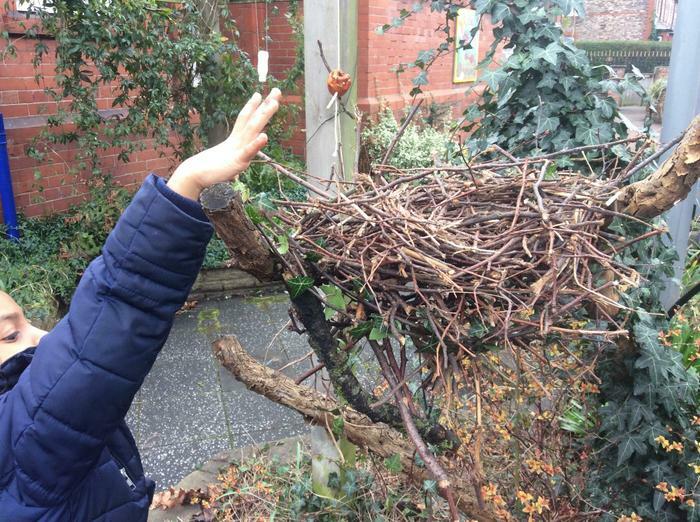 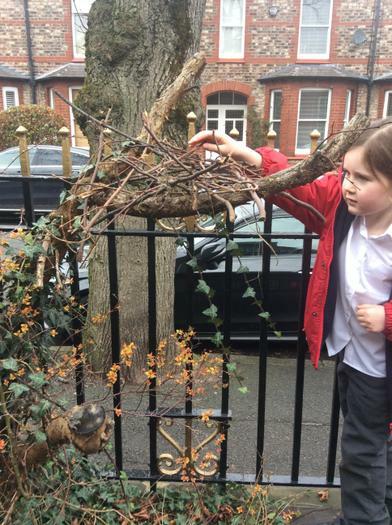 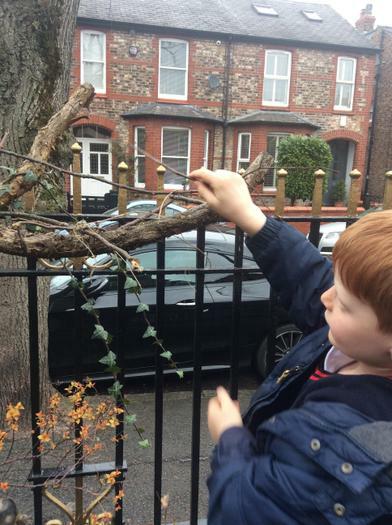 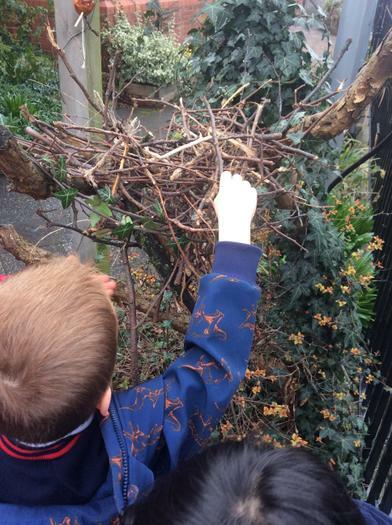 In Year 1 we are looking at the work of L.S. 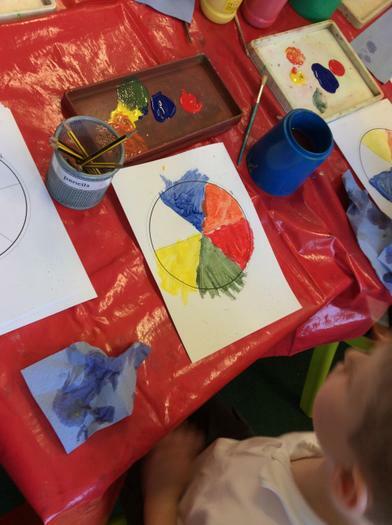 Lowry and his use of primary colours. 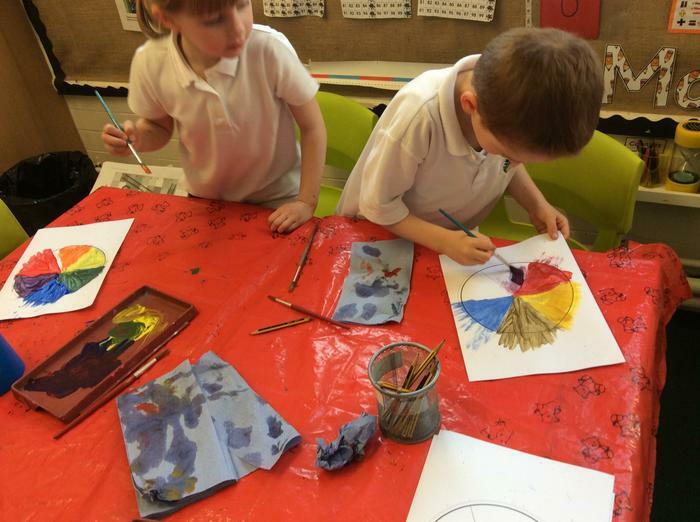 We decided to investigate the three primary colours (blue, red and yellow) and see which other colours we could make too! 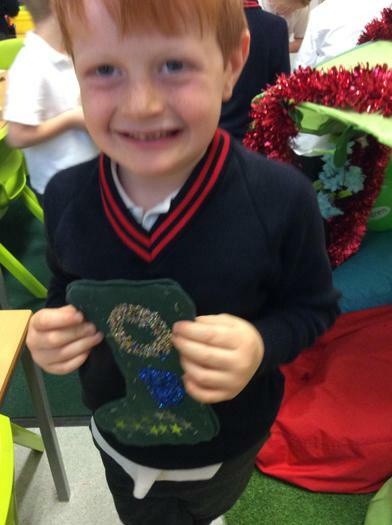 In Year 1 we are looking at special and sacred times, these were some of Elm Class’ favourite celebrations! 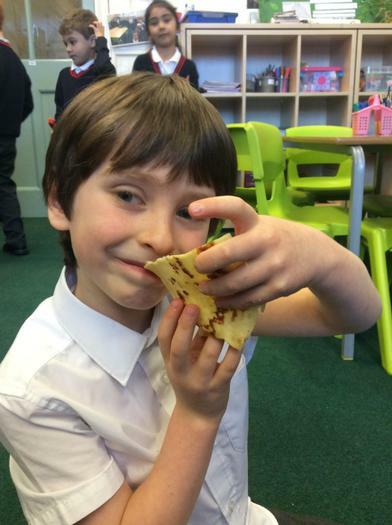 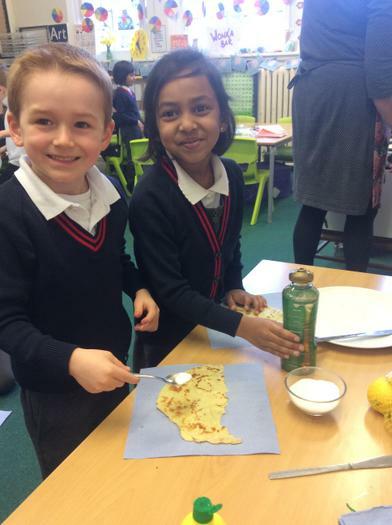 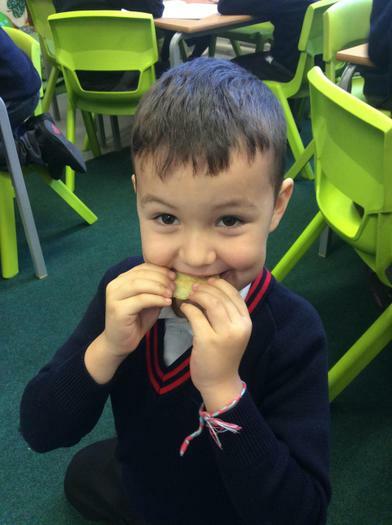 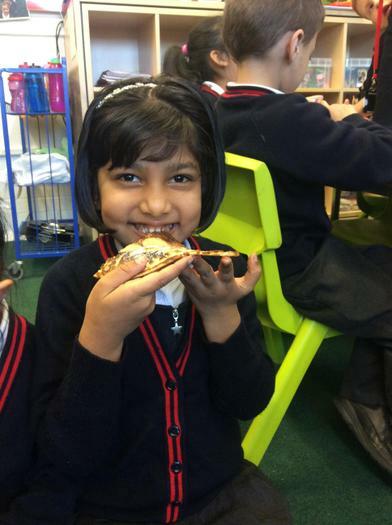 To celebrate Shove Tuesday, we made pancakes ad decorated them with our favourite toppings. 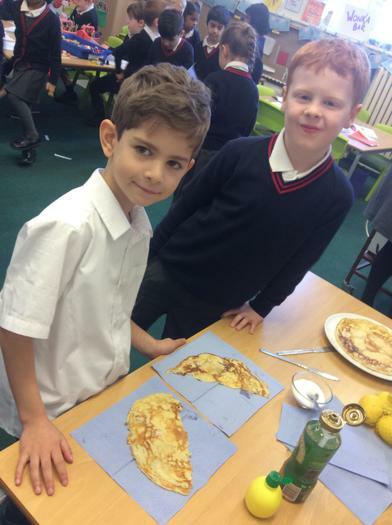 As we are currently looking at fractions, we had to carefully cut the pancake into two equal halves and then into quarters! 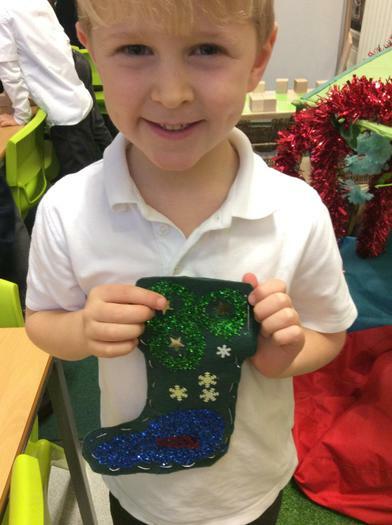 Elm Class have finished all their amazing Christmas performances, thank you to all the families and friends who came to watch them in their show. 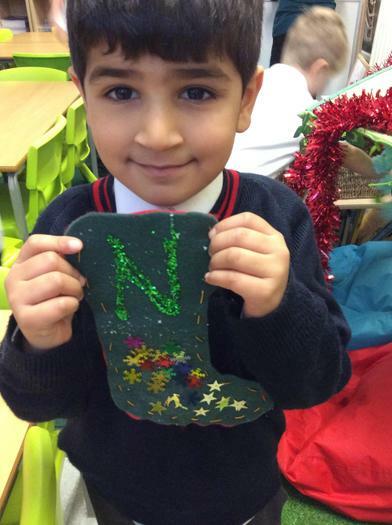 We wish you a very Merry Christmas and a Happy New Year! 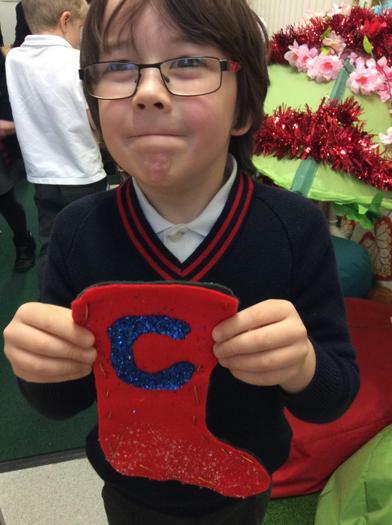 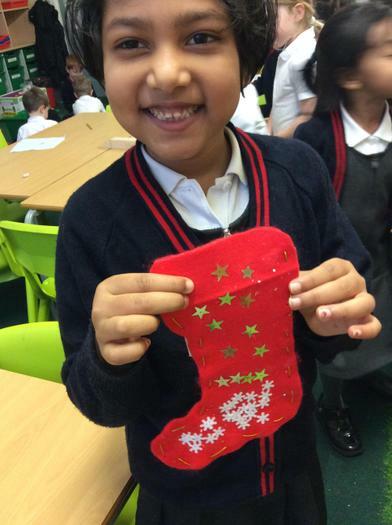 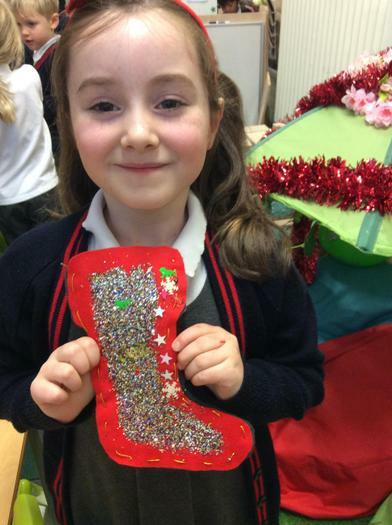 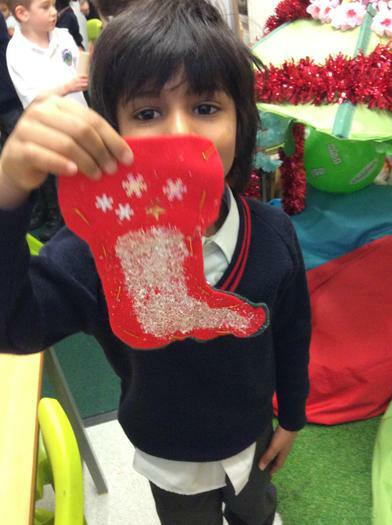 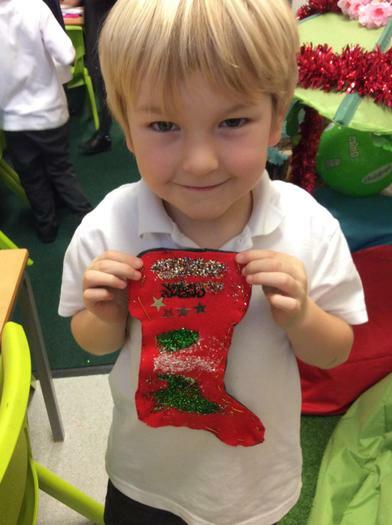 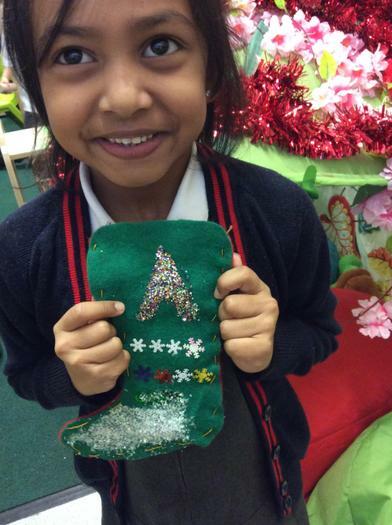 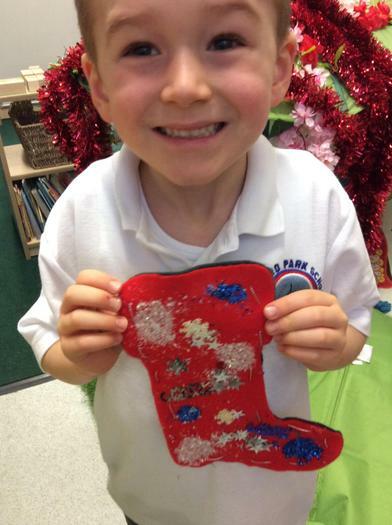 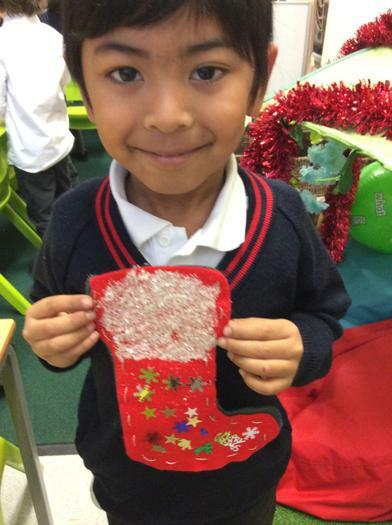 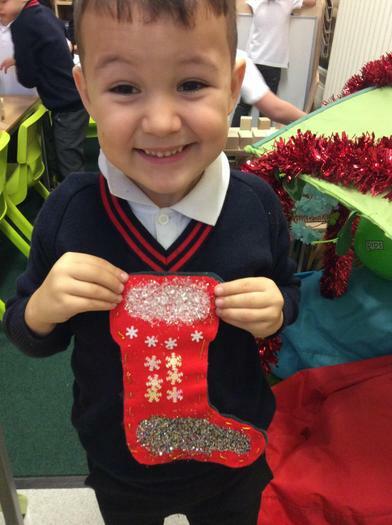 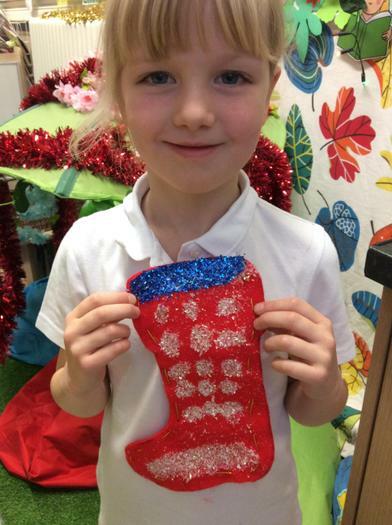 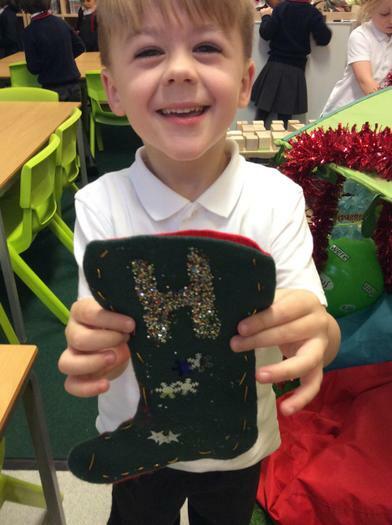 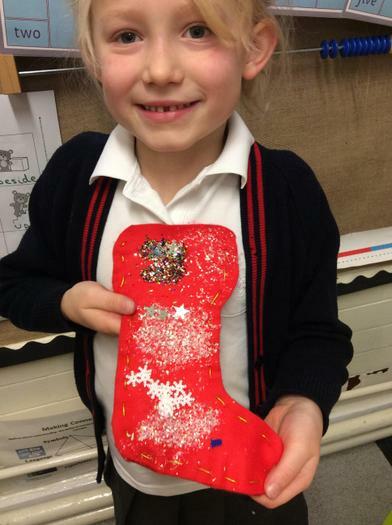 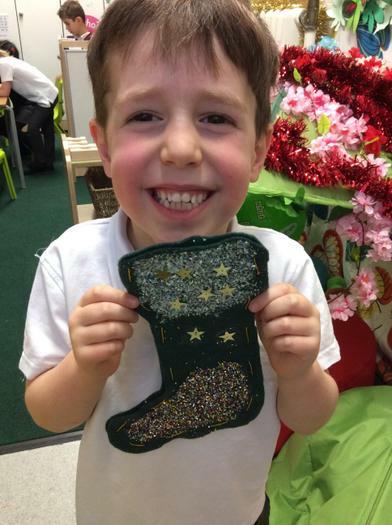 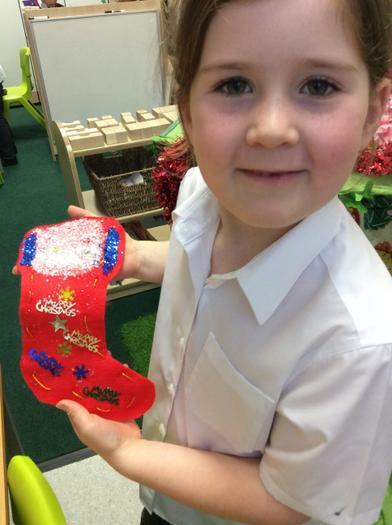 Elm Class are very proud of their Christmas stockings. 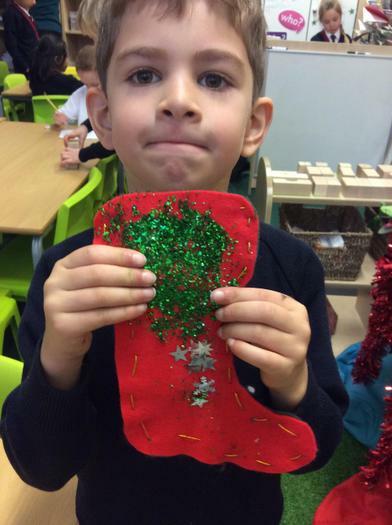 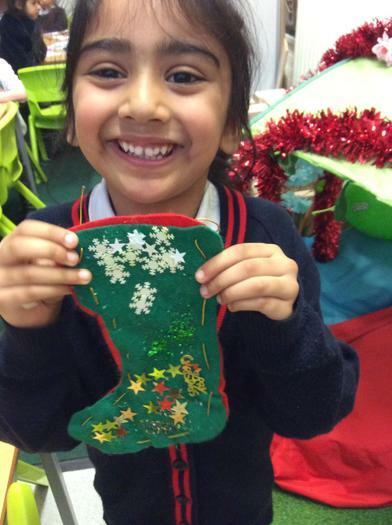 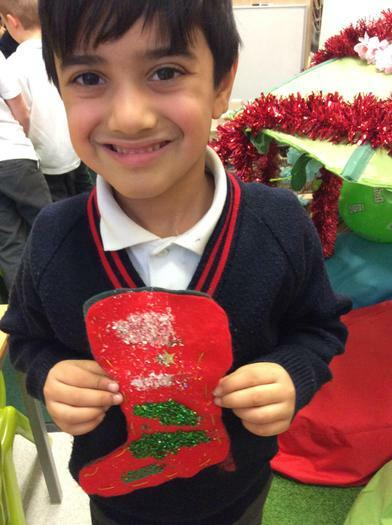 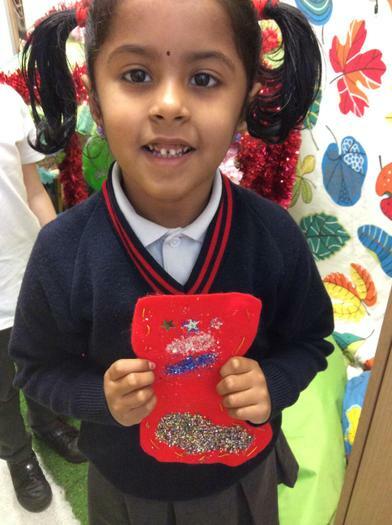 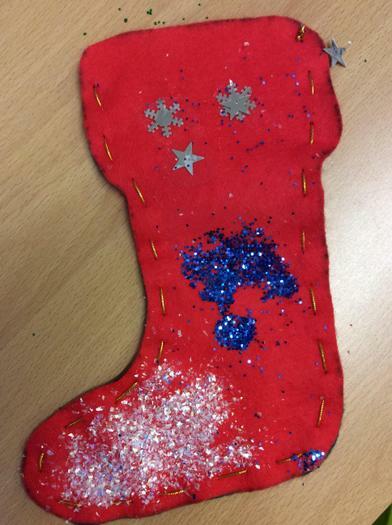 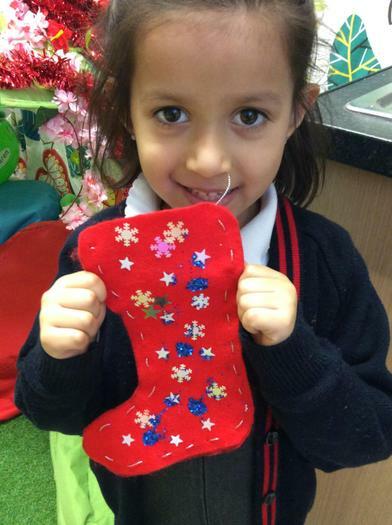 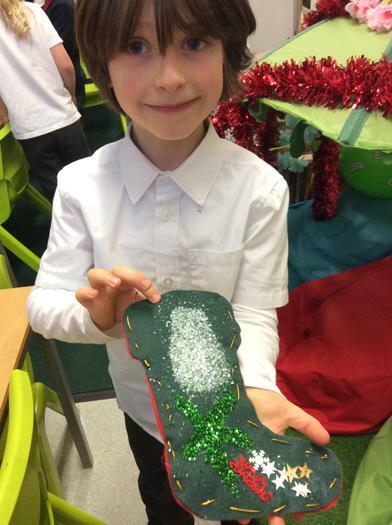 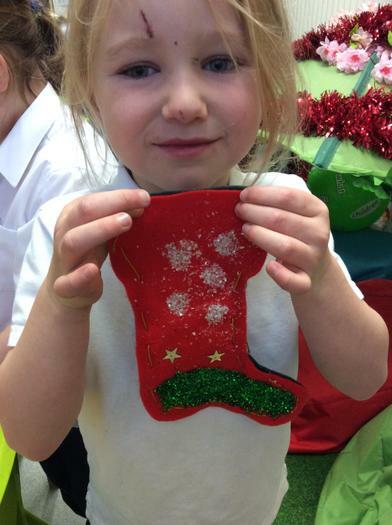 After designing what their stocking would look like, the children carefully joined their felt with a needle and thread and decorated their stocking. 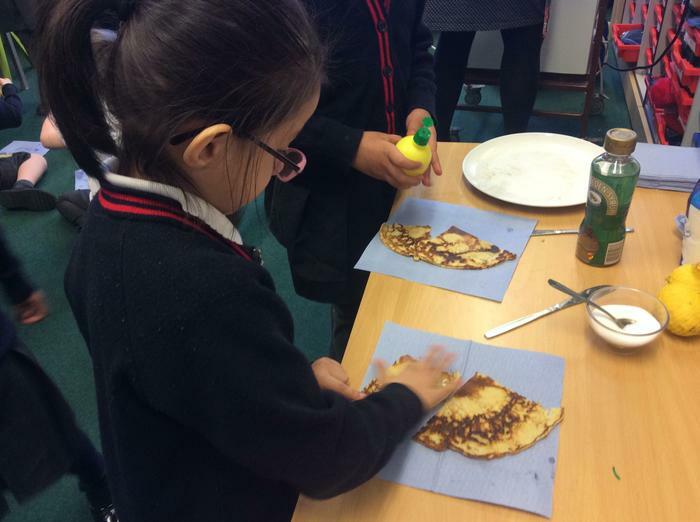 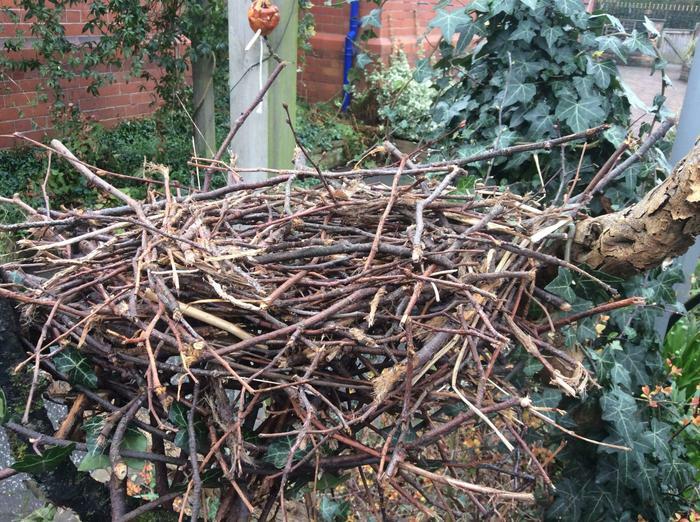 These are the photos of the finished result. 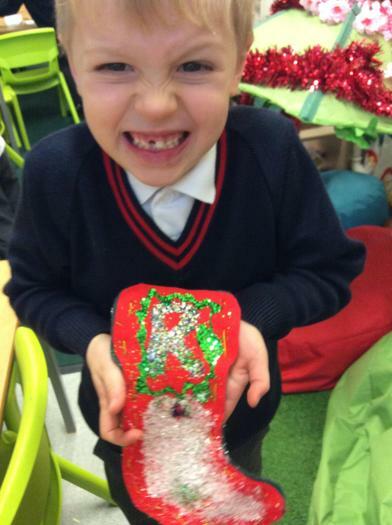 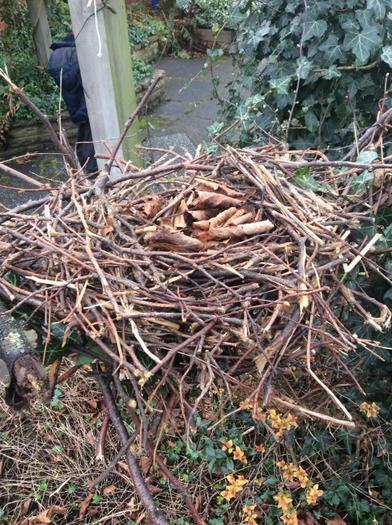 Thank you to the parents who came in to help us! 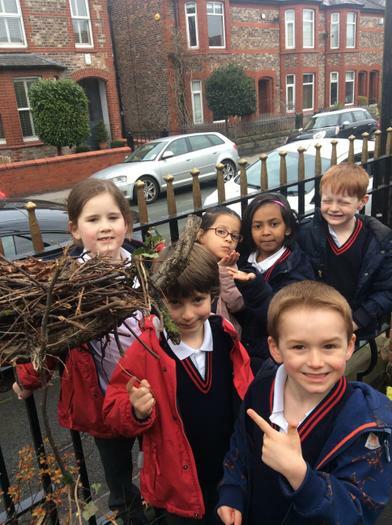 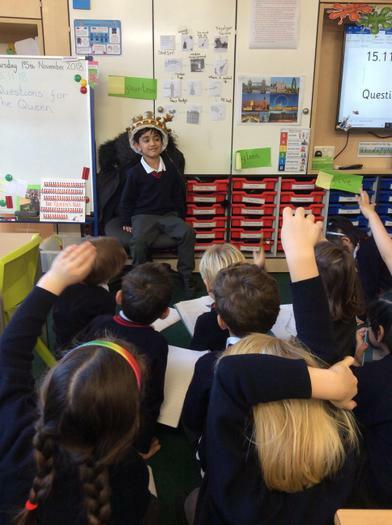 Elm Class have had a wonderful half term learning about their topic ‘Who is The Queen?’ The children have shared some amazing show and tell with each other and we have learnt lots about The Royal Family. 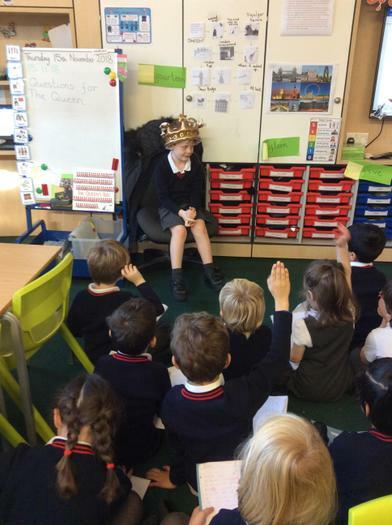 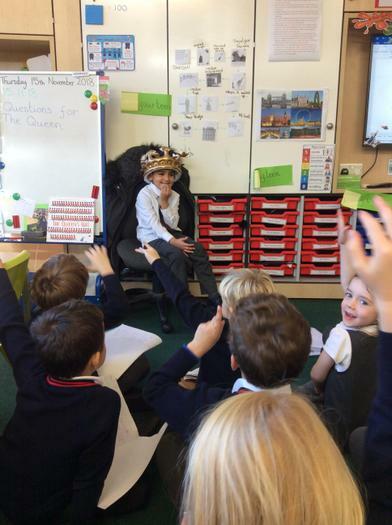 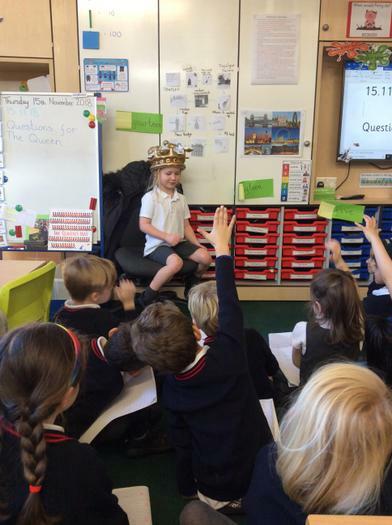 Here are some photos of the children in the ‘hot seat’ pretending to be The Queen, answering questions about her family and her life on the throne. 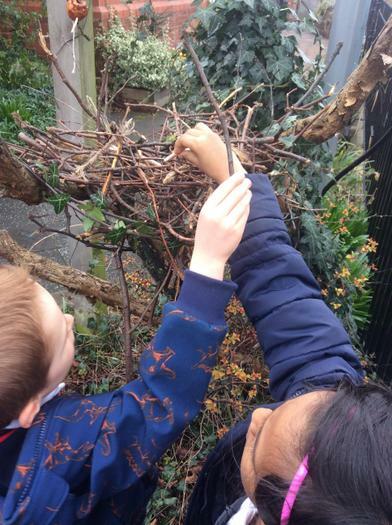 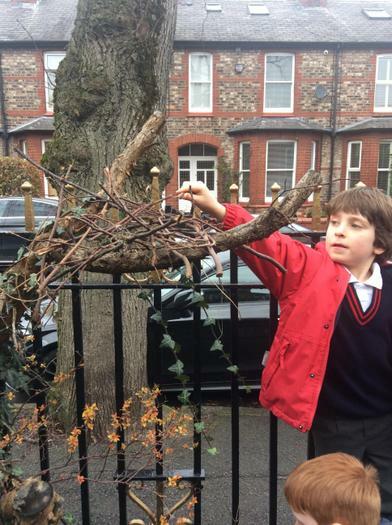 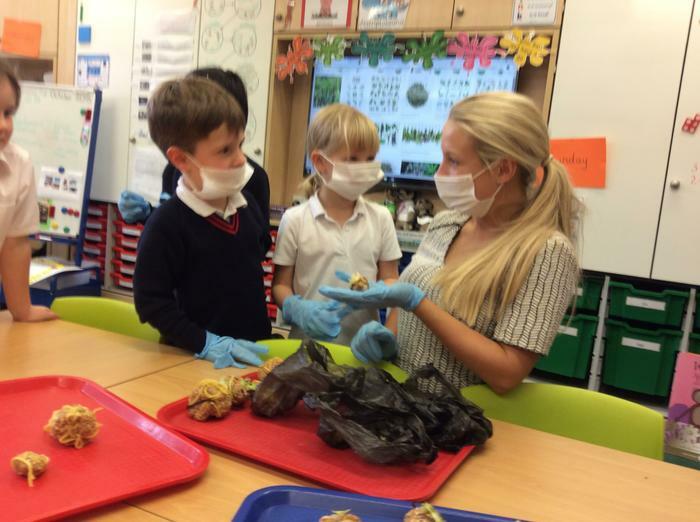 As part of Science this half term, Elm have been looking at sorting animals into different categories. 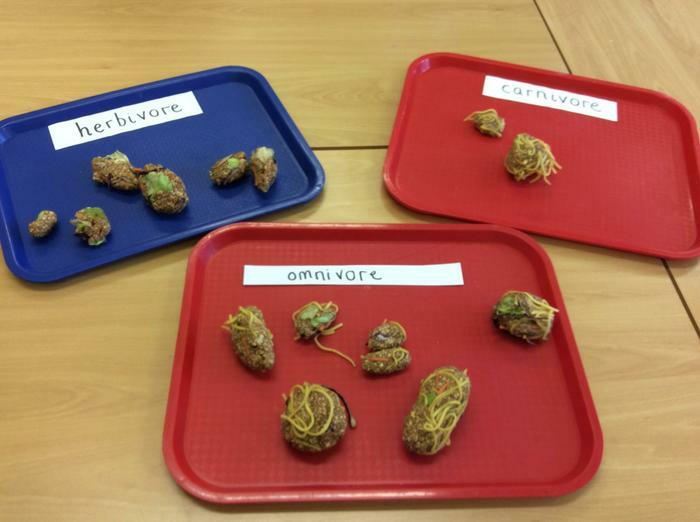 First we sorted mammals, reptiles, birds and insects and then we sorted herbivores, carnivores and omnivores. 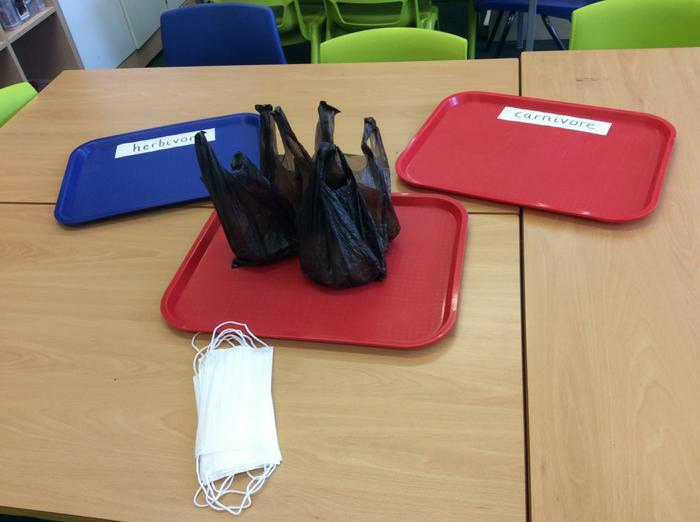 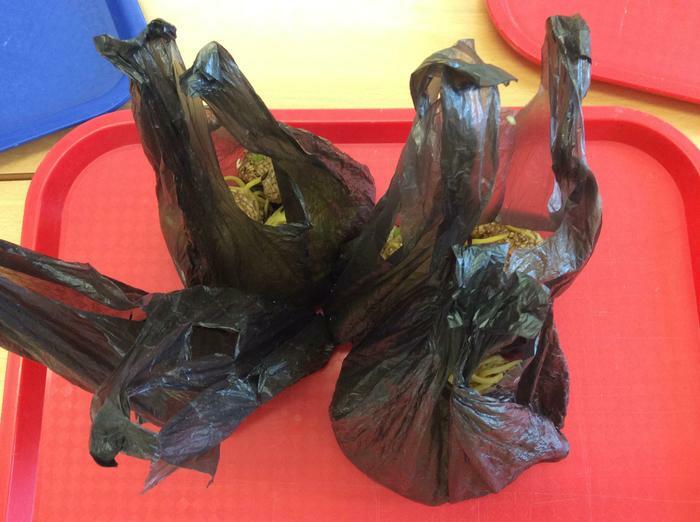 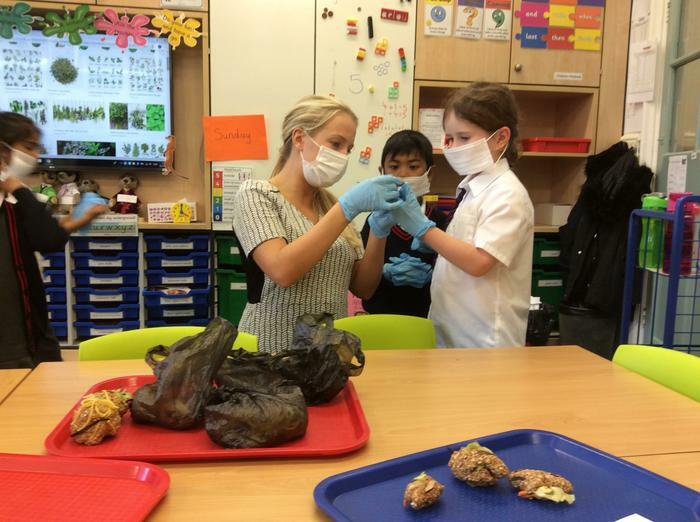 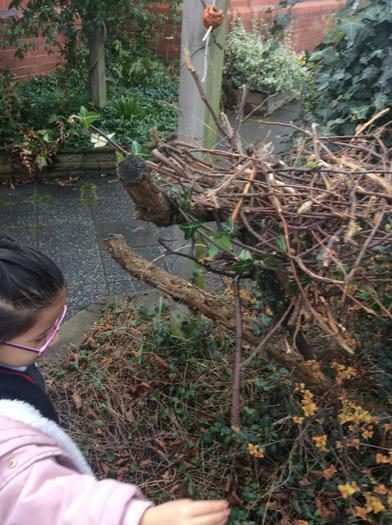 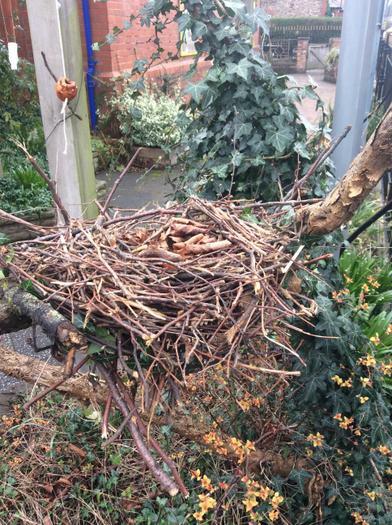 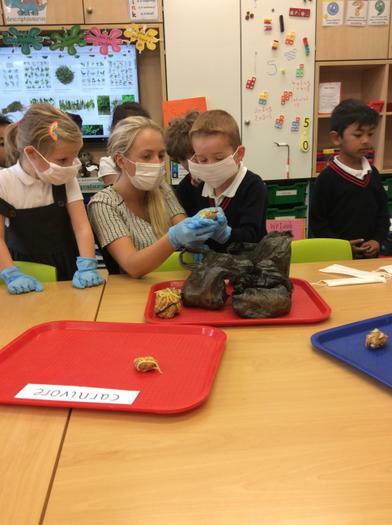 Miss Lydon was sent some animal droppings from the zoo (very smelly!) 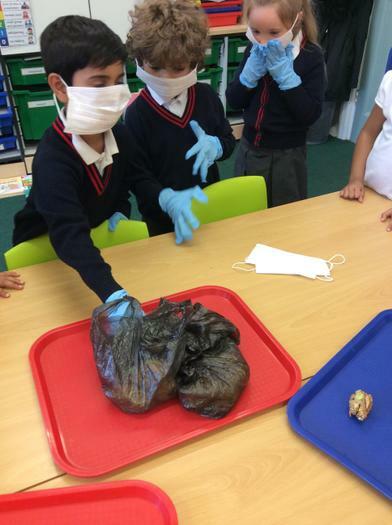 and we put on masks/gloves to inspect if the animal had eaten vegetables (salad), meat (noodles disguised as worms) or both. 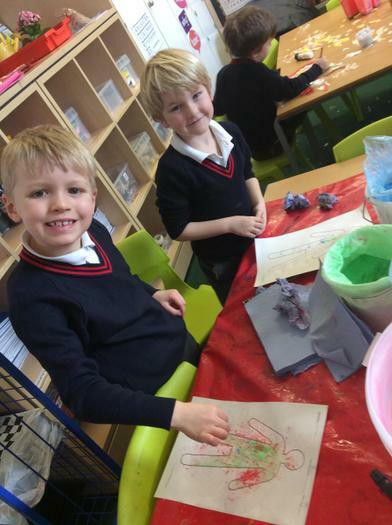 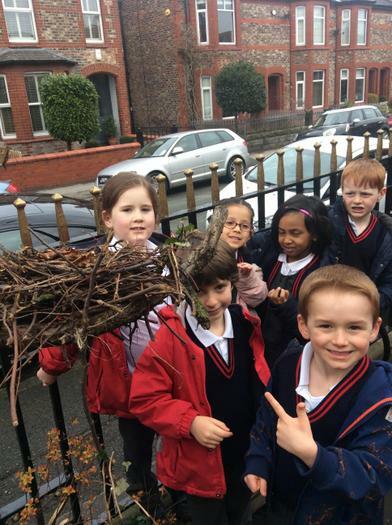 We had lots of fun!